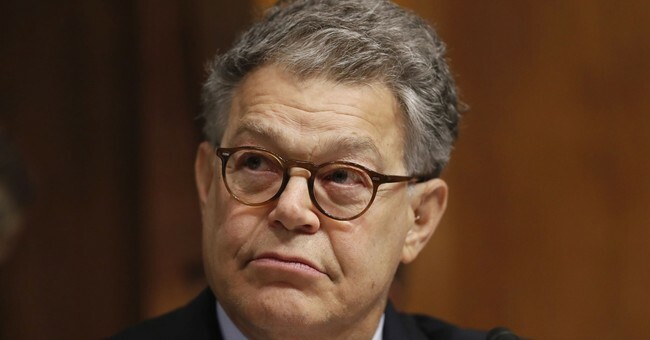 "Republicans have already destroyed the independence of our judicial system and turned it into yet another partisan battlefield," former Sen. Al Franken (D-MN) declares in a new op-ed for the USA Today. Franken believes he has exposed Republicans' agenda in how they have handled the Brett Kavanaugh confirmation hearings this week. For instance, why did Chairman Chuck Grassley allow a document dump on the nominee the night before the hearings began? "Why the secrecy?" Franken asks. "Why the rush? Because Republicans are intent on getting a fifth vote on the bench to protect Trump from special counsel Robert Mueller's investigation in time for the Supreme Court’s fall term." Kavanaugh, a "partisan," was nominated "in order to help achieve the Republican Party’s goals," Franken says. He doesn't describe those goals as anything meaningful. The problem lies not only with Senate Republicans, but the nominee himself. Kavanaugh should be disqualified for his "lie" and such "nonsensical praise," Franken writes. This was extremely untrue. President Barack Obama, for example, had taken a month or close to it to pick both Sonia Sotomayor and Elena Kagan. Trump had taken just 12 days to make his pick. And, of course, he made that pick from a list of 25 names presented to him by the right-wing Federalist Society. If judgment matters, and if we want judges who make their judgments based on a full and fair understanding of the facts, a big, fat, easily debunked lie like Kavanaugh’s should have been instantly disqualifying. Instead, it became just the first example of how Kavanaugh’s selection to the Supreme Court represents a perfect illustration of what the conservative movement has been doing to the judicial system for decades. Top Republicans predict Kavanaugh will sail through the confirmation vote. "He’ll be on board at the Supreme Court by the first Monday in October, which you and I both know is the beginning of the October term," Senate Majority Leader Mitch McConnell predicted.